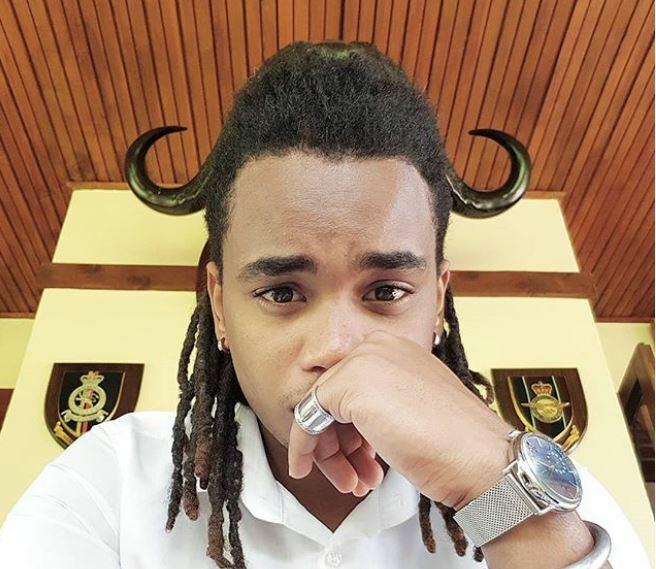 Mwai Kibaki’s famous grandson Sean Andrew came out of his shell recently, opening up about his struggle with depression and being suicidal. This he said in a social media post on Sunday acknowledging the ongoing whispers about his mental state. “I know a lot has been whispered about my mental health recently, I opened up a little bit more about my journeys in life because I wanted to ensure that no one is alone in their challenges, we get through and continue to get through every day,” wrote Sean. In a recent interview with a local magazine, Sean disclosed that losing loved ones at a tender age took a toll on him and that he was bullied a lot in school. “I have struggled with mental health issues and depression in the past. I have lost people close to me and the fact that I was bullied a lot contributed to the depression that I went through. When I lost my maternal grandfather when I was 13 years old, I went through depression and it got so bad that I wanted to take my life at some point. “My grandfather was my rock. He was my everything and my best friend. He was the only person I felt safe with. After his death, so many people started taking advantage of me and I became so paranoid over a lot of things. This was the first time I was alone and it was hard. “Being in that place where I had a lot of things bottled up in me and given the fact that I was almost kidnapped when I was a kid, being bullied and now I had lost the only person I was close to, it sent me to a dark place,” Sean told EveWoman. The vlogger said that though he still struggles with depression, he is at a much better place. “It took many years of getting help and soul-searching. Every time I tried to take my life, I’d think about the people I had come to love and what I’d leave behind and at what cost. I’m a selfless person and even when it came to suicide, the people I love came first. “Even though I still struggle with some things to date, I am at a much better place. I quit toxic behavior like drinking alcohol after I got to the point where I almost became an alcoholic but I am happier now and in a much better place,” said Sean Andrew. On his much-publicized breakup with YouTuber Elodie Zone in 2016, Sean Andrew said that they have both grown since the split. “Though very public, the relationship was very brief, it lasted about a year. We meet people in life and grow in the process. Sometimes, you find out things about people that push you away but we have both grown a lot as different people since then. I am currently not dating and I’m not actively looking to date. For me, it’s not about money or material things but it’s about how someone thinks and where they want to be in future,” said Sean.